If you're interested in running Mac OS X, but you don't want to pay ridiculous prices for a normal Mac, then a Hackintosh just might be for you. Right now, the newest iteration of OS X is 10.11, known as El Capitan. Previous versions include 10.10 (Yosemite), 10.9 (Mavericks), 10.8 (Mountain Lion), 10.7 (Lion), and 10.6 (Snow Leopard). There are multiple ways to install each version of Mac OS X on your PC; we've written guides for a few of them and listed them below. Unibeast Unibeast is the most well-known and widely-supported Hackintosh installer app for El Capitan. It's a simple Mac app that requires a retail copy of the El Capitan installer, available for free from the Mac App Store. Two separate hard disks The easiest and most reliable way to dual-boot Mac OS X and Windows on a Hackintosh is to install the two operating systems on separate hard disks. Any modern version of Windows (preferably Windows 8 or newer) will work. One single hard disk If your Hackintosh only has one hard disk, it's still possible to dual-boot Mac OS X and Windows. However, the process is more complicated-- if you already have Windows installed on your hard disk, you will probably have to erase it and start from scratch with this method. Any modern version of Windows (preferably Windows 8 or newer) will work. Unibeast Unibeast is the most well-known and widely-supported Hackintosh installer app for Yosemite. It's a simple Mac app that requires a retail copy of the Yosemite installer, available for free from the Mac App Store. Yosemite Zone Yosemite Zone, the successor to Niresh (mentioned below), is a pirated "distro" of Mac OS X that has been specially modified to work with PCs. Compared to Unibeast, Yosemite Zone is slightly easier to use, since it doesn't require a real Mac or an extra Hackintosh. It also has a few more features, including built-in MBR support and some extra driver support. Unibeast Unibeast is the most well-known and widely-supported Hackintosh installer app for Mavericks. It's a simple Mac app that requires a retail copy of the Mavericks installer, available for free from the Mac App Store. myHack myHack is a more advanced and feature-filled alternative to Unibeast. It's also quite easy to use, but it includes a lot of features that Unibeast lacks, such as built-in MBR support. myHack is a Mac app, and works with retail copies of the Mavericks installer. Niresh Niresh is a pirated "distro" of Mavericks that has been specially modified to work with PCs. Unlike Unibeast and myHack, you do not need a Mac to use Niresh. Compared to Unibeast and myHack, Niresh is also slightly easier to use, and has more features, including built-in MBR support and some extra driver support. Unibeast Unibeast is the most well-known and widely-supported Hackintosh installer app for Mountain Lion. It's a simple Mac app that requires a retail copy of the Mountain Lion installer, purchased from the Mac App Store. Unibeast (MBR) Since it aims to be the simplest Hackintosh installer app, Unibeast is missing a lot of features-- including the ability to install Mac OS X on an MBR partition. 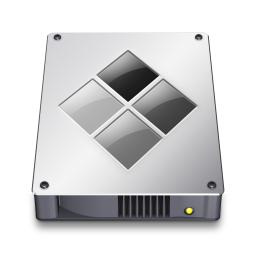 This guide shows you how to enable MBR support, so that you can install Mac OS X on a hard drive with Windows already installed. myHack myHack is a more advanced and feature-filled alternative to Unibeast. It's also quite easy to use, but it includes a lot of features that Unibeast lacks, such as built-in MBR support. myHack is a Mac app, and works with retail copies of the Mountain Lion installer. iAtkos ML2 iAtkos ML2 is a pirated "distro" of Mountain Lion that has been specially modified to work with PCs. Unlike Unibeast and myHack, you do not need a Mac to use iAtkos. Compared to Unibeast and myHack, iAtkos is also slightly easier to use, and has more features, including built-in MBR support and some extra driver support. Niresh Niresh is another pirated distro of Mountain Lion that has been specially modified to work with PCs. You don't need a Mac to use Niresh. It is largely similar to iAtkos, though iAtkos is far more popular. Unlike iAtkos, Niresh can be set up with a regular-size DVD, and includes experimental support for AMD and Intel Atom processors. Manual You can also "manually" create a Hackintosh installer, by personally modifying a copy of the Mountain Lion installer. However, considering all of the easier alternatives available, there is really no good reason to do this yourself. Unibeast Unibeast is also the most well-known and widely-supported Hackintosh installer app for Lion. It's a simple Mac app that requires a retail copy of the Lion installer, purchased from the Mac App Store. Kakewalk Kakewalk is a simpler alternative to Unibeast, which automates the entire Mac OS X installation process to make it almost effort-free. However, Kakewalk only supports an extremely limited number of motherboards. It is a Mac app, and works with both retail copies of the Lion installer. iAtkos L2 iAtkos L2 is a pirated "distro" of Lion that has been specially modified to work with PCs. Unlike Unibeast and Kakewalk, you do not need a Mac to use iAtkos. Compared to Unibeast, iAtkos is also slightly easier to use, and has more features, including built-in MBR support and some extra driver support. iBoot iBoot is the most well-known and widely support Hackintosh installer app for Snow Leopard. It's relatively easy to use, and requires a retail Snow Leopard DVD. You do not need access to a Mac to use iBoot. iBoot (Ivy Bridge) Unlike the original version of iBoot, iBoot Ivy Bridge works with Intel's newest-generation Ivy Bridge processors. Ivy Bridge generally does not work very well with Snow Leopard, but you can easily upgrade to Mountain Lion from Snow Leopard 10.6.8. Nawcom's ModCD Nawcom's ModCD aims to be a compromise between barebones tools like iBoot and pirated distros like iAtkos. ModCD can install Mac OS X on an MBR partition (iBoot cannot), and also offers some extra driver support. It's also relatively easy to use, and requires a retail Snow Leopard DVD. You do not need access to a Mac to use ModCD. NOTE: This is not a comprehensive list of installation methods. Rather, it is only a list of installation methods that we have written guides for. For instance, Kakewalk still works on OS X Mountain Lion; we just haven't gotten around to writing a guide for it yet.